Google has offered many ways over many years to compare products side by side, mostly on the paid search side and Google Shopping side. Here is a version of this from November 2017. Now Valentin Pletzer shared another screen shot of a carousel look for this comparison. You can see it shows a carousel of products, comparing where they got mentions from on different review web sites. Clearly these sites must be using product schema or Google is able to pick up the blocks without the schema. 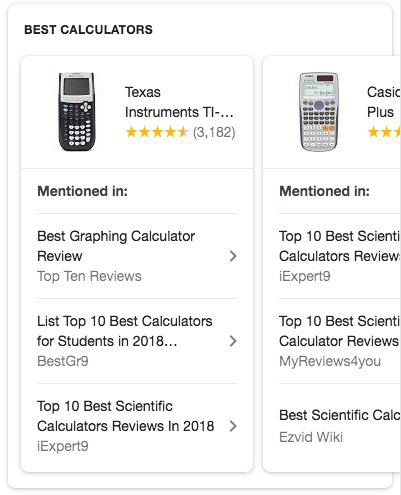 But here Google is showing this comparison of products based on review sites. Honestly, I am not sure how useful this comparison is since it is not showing specs, features, pricing, availability and other factors.